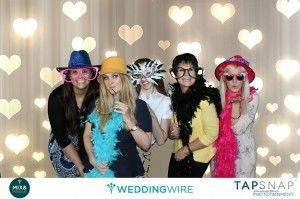 On April 28th, TapSnap 1009 was at the WeddingWire Mix & Mingle in Salt Lake City, Utah. The event allowed wedding professionals to network and witness TapSnap Phototainment in action. WeddingWire is one of the biggest names in the wedding planning industry, and we're happy to have been able to entertain their event's guests. Wedding professionals at the event were able to witness how TapSnap provides unforgettable moments, creating laughter and bringing wedding guests together. Kim Deimling, of TapSnap 1009 in Salt Lake City and Park City, Utah, was the Phototainment Specialist on-hand for the event. To read WeddingWire's recap of the event, click here.